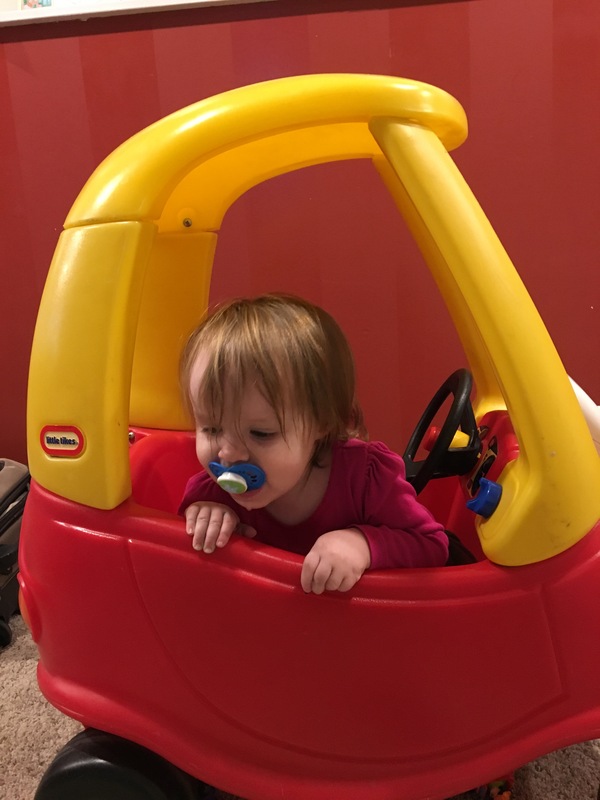 This cozy coupe has been a favorite toy around here for years now, but Lydia has just recently discovered how much fun it is. But the thing is, she doesn’t actually drive it around, she just sits in it. It makes me laugh every time I find her there, just chilling her car. The best is when she has her little black purse like she’s all ready to go shopping or something.